Second place Atletico Madrid host seventh place Sevilla in the twentieth round of the Spanish La Liga on Sunday, January 19th, 2014. Atletico are, amazingly, keeping pace with Barcelona in the La Liga standings. Both teams have sixteen victories, two draws and one loss so far. Real Madrid are trailing behind by three points. Atletico most recently eliminated Valencia out of the Spanish Cup by winning 3-1 on aggregate. This victory came after a 0-0 draw vs. Barcelona at home in the league. Atletico are in awesome form, undefeated in their last 18 matches across all competitions, including the UEFA Champions League. Sevilla are also playing well. They are undefeated in their last eight La Liga games and they are through to the knockout stages of the UEFA Europa League. Most recently, Sevilla drew at Elche 1-1 after beating Getafe 3-0 at home. There are not many teams that can give Atletico a game and endanger their trophy run these days, but Sevilla is a team that poses a threat. 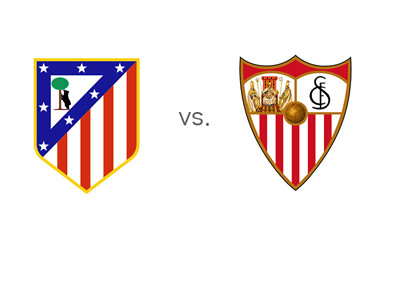 Sevilla and Atletico Madrid already met at the start of the season and the score was 1-3 for Diego Costa and friends. Atletico Madrid are the huge favourites. A 100 € bet on Diego Simeone's team could return 36 € in profit, while the same bet on Sevilla could return 750 € in profit. Diego Costa is the favourite to score at 1/2, followed by David Villa at 9/2. Carlos Bacca is the favourite to score for Sevilla at 10/3. Both teams enjoy playing an open game, which could make this encounter a treat.